you have a choice where to have your DRIVER LICENSE Processed! DRIVER LICENSE and ID Card services include: eye exam, written test, verbal test, road test, reinstatements, renewals, and name changes. Your time is important. That’s why we’re here. At L & J Motor Vehicle Services, LLC, we provide the opportunity to get all of your motor vehicles needs taken care of with expedience and quality customer service. 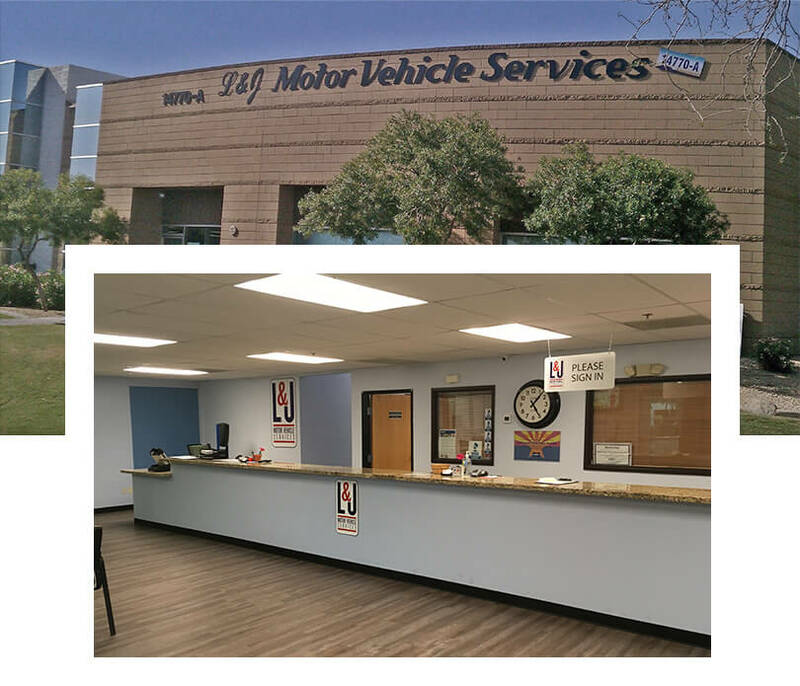 Since 1992, we have been an Authorized Service Provider for the Motor Vehicle Division serving drivers of Scottsdale, Phoenix, and beyond. Whether you are an individual , truck driver, or you head up a whole fleet or dealership, we are here to expedite the licensing, registration, titles, renewals and everything else you need to operate, or distribute your motor vehicles. If you are new to Arizona, come see us for new drivers license, plates and registrations. Have a question? Come visit our Scottsdale office and let’s get this taken care of today! If you have any questions, please feel free to contact us directly at 480-368-9933 for more information. © L&J Motor Vehicle Services. All rights reserved 2018. Website Design by: My Biz Niche.